At a conference programming meeting that Islander attended in Atlanta, Georgia, some years ago, a welcome dessert was provided to participants during breaktime. 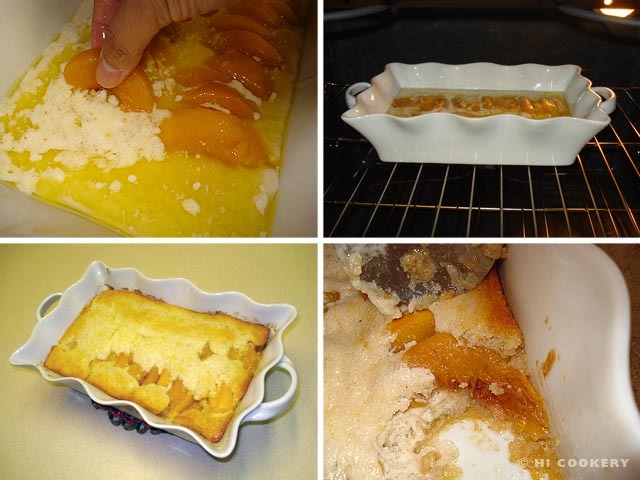 Peach cobbler was served to showcase the state’s famous fruit. Although it may not look as elegant as other desserts (the top resembles a cobblestone street, hence the name), it tastes simply sweet, pairs well with plain vanilla ice cream and is very easy to make. 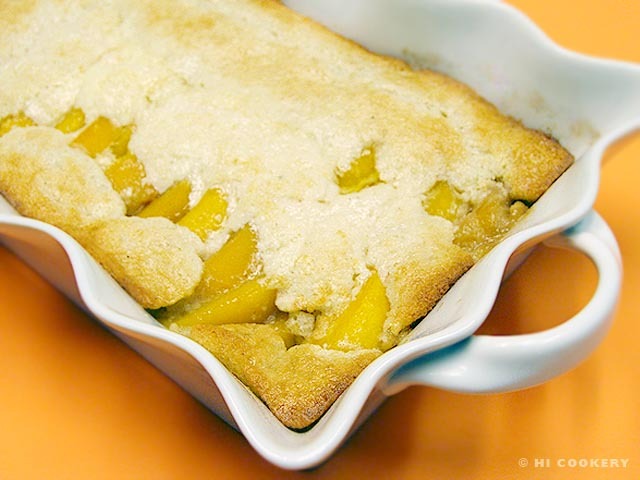 Prepare peach cobbler for a down-home style dessert and for commemorating National Peach Cobbler Day. Thaw and drain the peaches. In a mixing bowl, combine the sugar, flour and milk and whisk until smooth. Stir in the cinnamon and nutmeg. Melt the butter and coat the bottom and sides of a medium casserole dish. 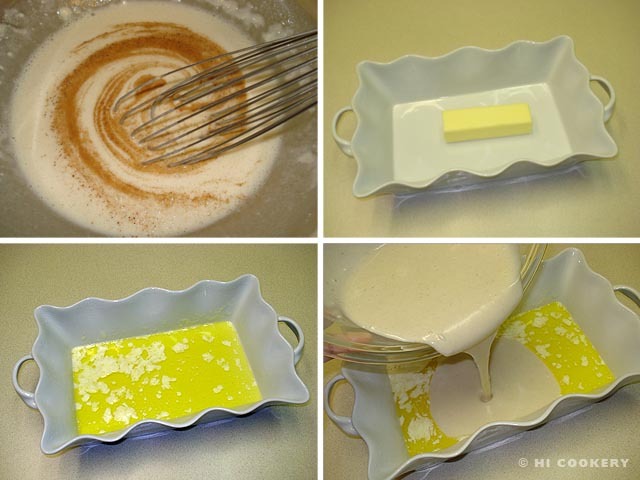 Make sure that the butter is hot and sizzling when pouring the batter over it. 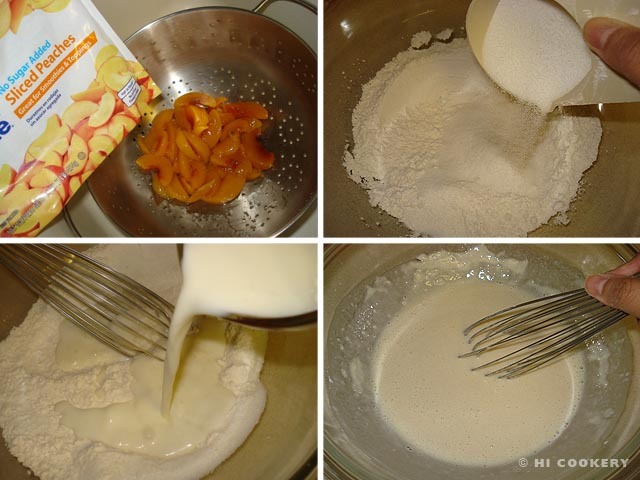 Arrange peach slices on top of the batter. Bake in a preheated oven at 350 degrees F for 30-35 minutes or until the top is golden brown. The batter will rise over the peaches to create a cobbled and lumpy appearance. Remove from the oven. Serve warm or à la mode (optional). Learn a little bit of the history of fruit cobblers at the What’s Cooking America website. May 17 is National Cherry Cobbler Day.